Say Hello To Our Moo Addition! 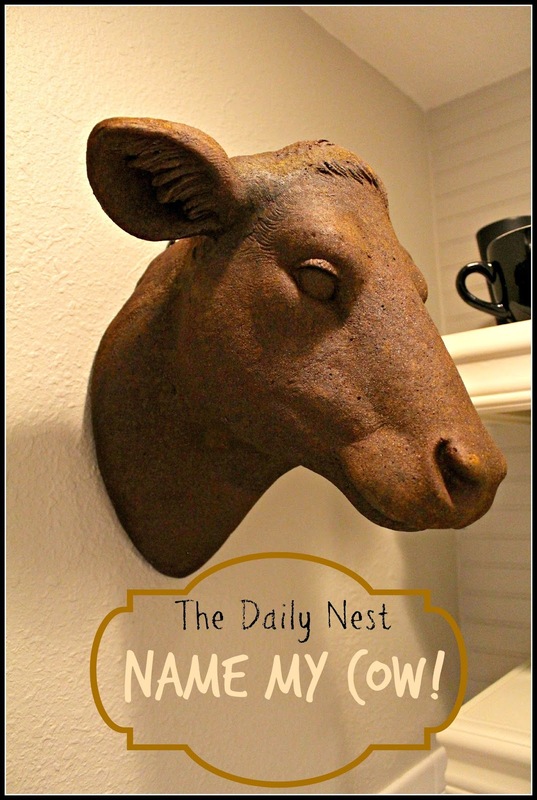 The Daily Nest: Say Hello To Our Moo Addition! Say Hello To Our Moo Addition! 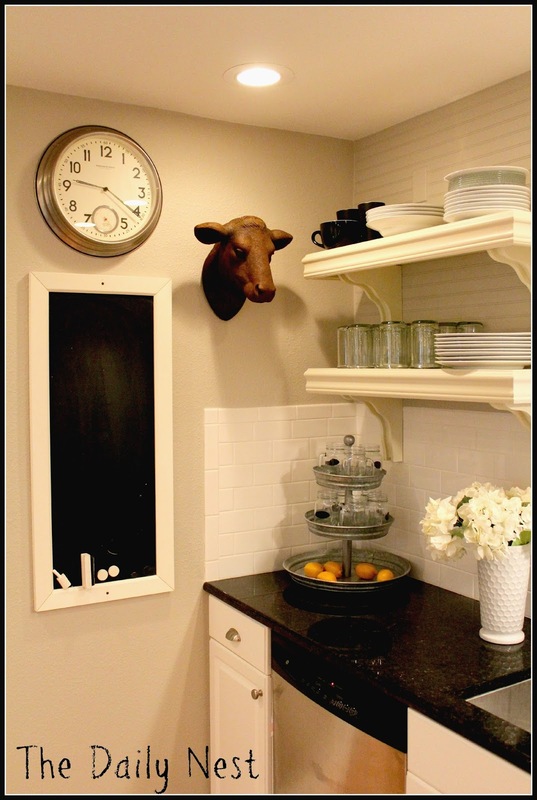 It's my new cow's head from Decor Steals. I love her! I've always had a love for cows and when I saw this deal I had to have her! My Son says it's weird in a Godfather-ish way, but I don't care. She fits perfectly in my kitchen looking down at us and keeping a watchful eye. I need your help though. We can't decide on her name. 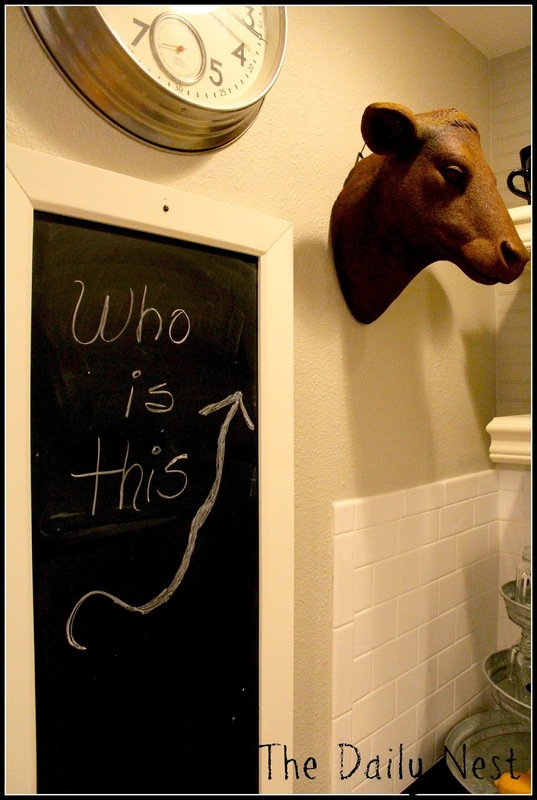 I'm having a poll so that my readers can pick my cow's name! The poll is to the right in the sidebar, please vote! Oh and she is a girl…I checked! She's beautifully crafted from heavy estate stone and comes ready to hang. 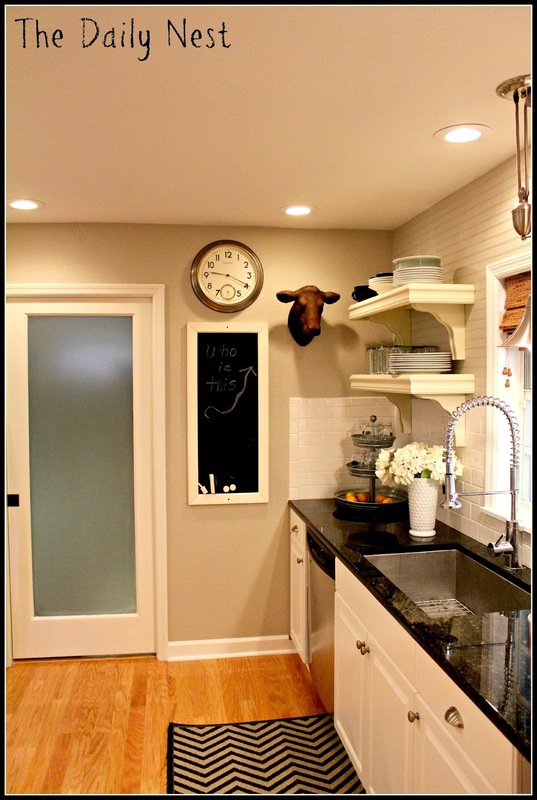 She adds a farmhouse feel to my kitchen! So please hop over to the sidebar and vote for your favorite name! I'll post the winner next week!